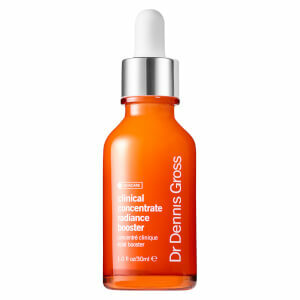 Enhance the benefits of your skincare routine with Dr Dennis Gross' Clinical Concentrate Radiance Booster Serum, a professional-grade, time-released concentrate that works to exfoliate and renew your skin with both instant and long-term benefits. Dedicated to boosting your skin's natural luminosity, its blend of antioxidants and exfoliating acids work in synergy to combat dullness and rough texture; Pyruvic Acid counteracts the appearance of dark spots, whilst Quercetin delivers a brightening effect. The lightweight fluid melts effortlessly into skin, performing gentle exfoliation to reveal a smoother, brighter, more refined looking complexion without irritation. 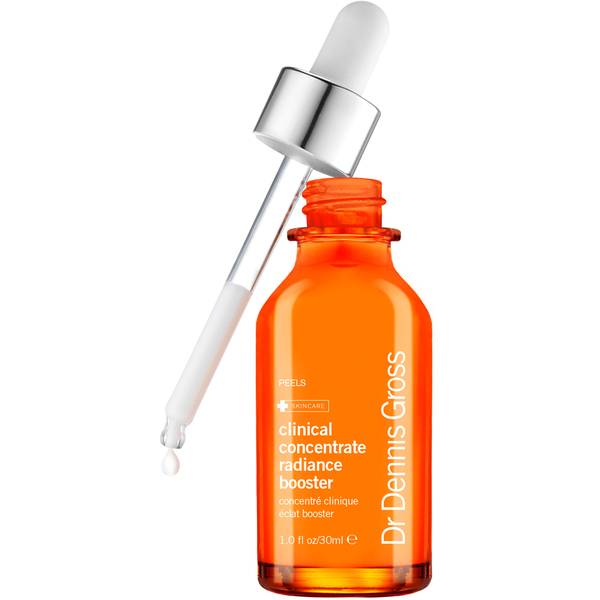 Skin appears firmer, more luminous and more even in tone. Use alone on targeted areas or mix with your favourite moisturiser or foundation to enhance their efficacy. Apply directly to clean, dry skin, focussing on targeted treatment zones, mix a few drops into serum, foundation, or add to the second step of your Alpha Beta® Peel to boost benefits. For morning and/or night use.